This content was published: December 20, 2016. Phone numbers, email addresses, and other information may have changed. 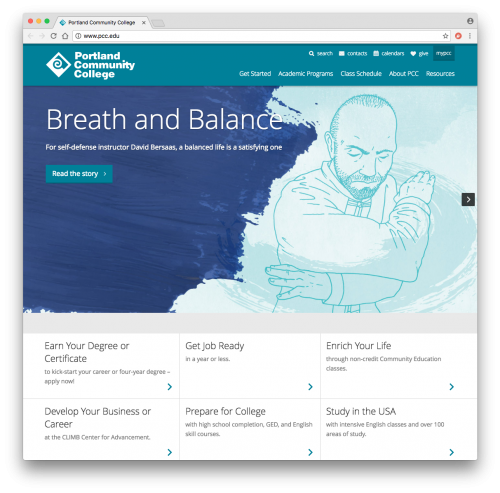 PCC Community Ed self-defense instructor David Bersaas is featured on the PCC homepage this week! Check out their profile and David’s class this winter, Self Defense: Martial Arts Techniques.